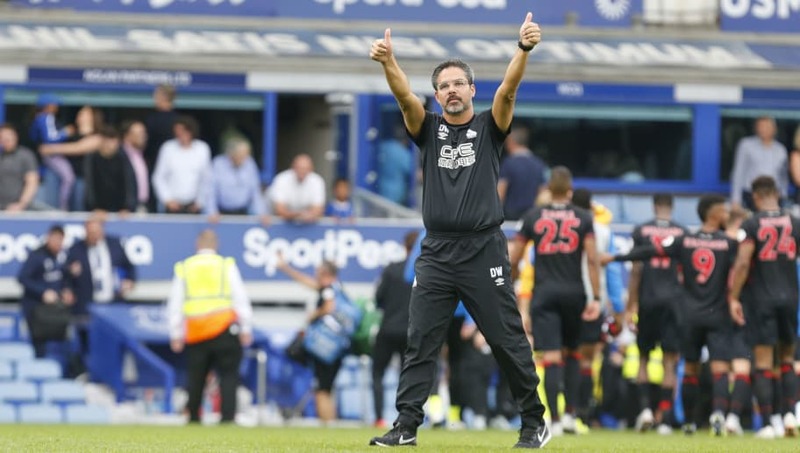 ​​Huddersfield manager David Wagner feels his side merited the point they picked up at Goodison Park on Saturday after a 1-1 draw against ​Everton. Danish midfielder Philip Billing scored for the Terriers in the 34th minute to help them on their way despite spending the majority of the game without the ball, but conceded to a Dominic Calvert-Lewin goal almost 90 seconds after taking the lead. Everton pushed forward in the final few minutes in an attempt to get the winner but his side did not allow Marco Silva's team the time or space to put their attacking freedom and creativity into action. Quoted by ​the Huddersfield Examiner, Wagner praised his side's efforts in getting a well deserved draw at a difficult place to play as the visiting team. "If we like to take the negatives out of this game then maybe it was this", he said when asked about conceding just two minutes after Billing put the Terriers in front. "But apart from this I think it was a deserved point for us. It was a good point for sure. "Everybody knows how difficult it can be against Everton away in the this atmosphere here at Goodison, but the players have done a fantastic job. "I think the defensive organisation was good. The effort, attitude, togetherness and communication was there and this makes me very pleased because it is one thing to work on it in the classroom, on the grass in training, but it is another to deliver this here in these circumstances against Everton away. "This is not easy and the players have done it and I think it was a deserved point and a good performance." ​Huddersfield will face Crystal Palace next after the international break at the John Smith's Stadium on Saturday 15 September.